If you’ve had your first dental appointment in a while, then you are on your way to achieving optimal oral health! Visiting the dentist is essential when protecting your oral health, but it’s only the first step. Walking out the doors with a clean mouth is a wonderful feeling, but imagine having that feeling on a daily basis. The good news is celebrating National Dental Hygiene Month is as easy as brushing, flossing and visiting the dentist in Yakima regularly! 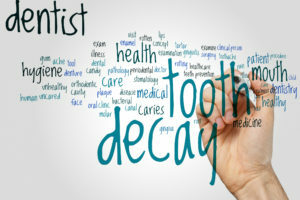 Did you know that tooth decay can be reversed if treated in the beginning stages? 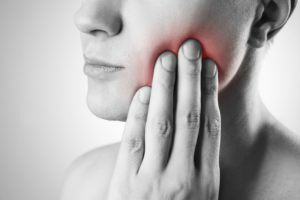 If you follow the advice of a dentist in Yakima and take action early on, you may be able to prevent some cavities from damaging your teeth. However, once tooth decay progresses past a certain point, there is no turning back the clock. 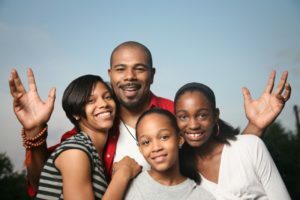 Understanding how a cavity progresses can help you know how to fight back and maintain a healthy mouth. Here is what happens during each of the 5 stages of tooth decay. Each day, a tug of war takes place inside our mouths. On one side are the foods and drinks we consume that contain sugar, which bacteria in our mouth converts into acids that eat away at tooth enamel. On the other team is our saliva, which helps repair teeth by replacing the minerals removed by the acids. 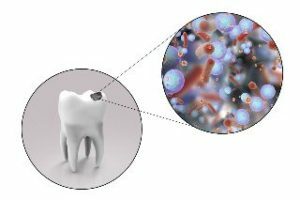 When the sugary, bacteria-filled team are winning, white spots can appear on your teeth. Those spots are where minerals have been lost and are a sign of early tooth decay. 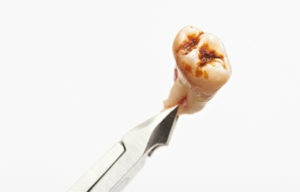 However, at this point – before a cavity forms – there is still the possibility to reverse the decay. 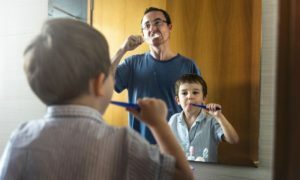 Here are a few tips from a family dentist in Yakima on how to prevent tooth decay from progressing and further damaging your mouth. The greatest nemesis of your oral health is the bacterium. Although it isn’t always malevolent, when it’s bad, it’s really bad. The harmful kind feed on the sugars in leftover food particles and use them to grow and multiply. 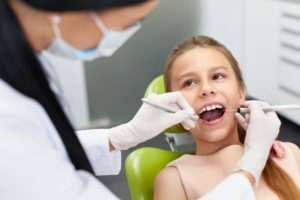 The unchecked multiplication eventually leads to tooth damage, and depending on how long you let the problem persist, you may need a root canal in Yakima. As you read on, you’ll learn how to determine the level of decay you have and how it’s treated. Everyone does their best to stay prepared while traveling, especially if they’re traveling internationally. Of course, sometimes a dental emergency can appear and we don’t know what to do. Emergencies like this don’t happen often, but it doesn’t mean you should panic or cut the trip short. 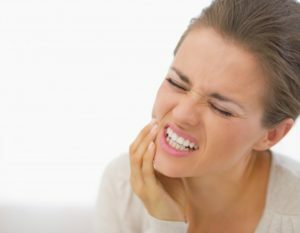 There are ways to mitigate the effects of a dental emergency, even if your dentist is thousands of miles away. To stay prepared, keep reading this post from your emergency dentist in Yakima. He’ll go over common emergencies and what you can do. Cavities are insidious mainly because they’re very difficult to catch at home. They can cause sensitivity, pain, and even cause your teeth to fall out completely if not caught in time. When you visit your family dentist in Yakima, you can get checked by their state-of-the-art cavity detection system! However, you’ll first need to become a new patient. Today, we’ll be discussing how cavities form, when they can appear, and how you can get yourself treated. To keep your smile looking good and functioning, you’ll need to pay your dentist a visit! Every person in our office values your oral health — more important, we value you as a person and want to build a trusting, long-lasting relationship with you. 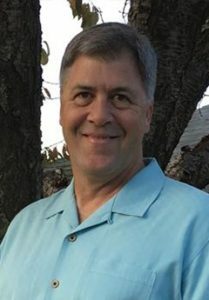 Leading this team of caring individuals is Dr. Lyle Bonny. Would you like to get to know your friendly family dentist in Yakima a bit better? Here are some fast facts about Dr. Bonny.